Ideally, a visualization speaks for itself: a user should be able to glance at a visualization and immediately know exactly what they’re looking at. However, even the best visualizations can often benefit from a little extra information: a note about what values to look for; tips about how users can filter the information; etc., etc. Below. The note is shown at the bottom of the tile. Above. The note is shown at the top of the tile. Hover. 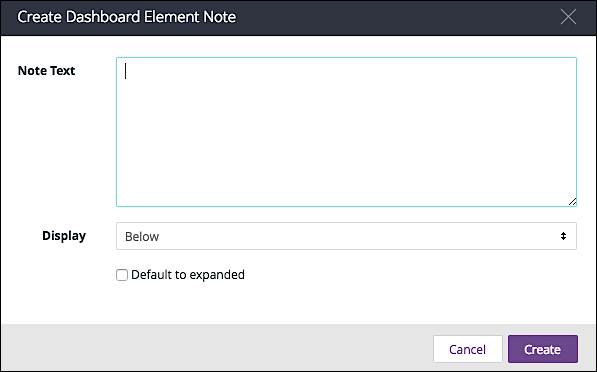 A question mark icon appears in the tile, and the note is displayed any time the user hovers the mouse over that icon. 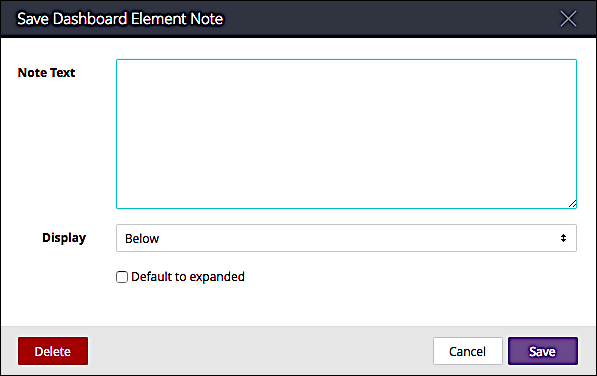 Click OK in the confirmation dialog box, and the note will be removed. To restore the title, just click the eye icon a second time.